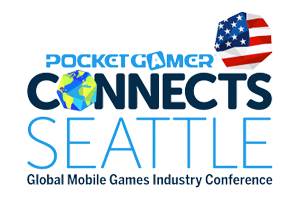 Pocket Gamer Connects is back in the USA! Two-day industry conference and expo brings mobile, PC and blockchain to Seattle this May. 1,000 delegates from 500 companies will network and learn from over 100 world-class expert speakers across 9 tracks. Pocket Gamer Connects will cover every major part of the mobile games industry from game design and user acquisition to live ops and global expansion, with an entire track dedicate to indie games. The revised schedule for 2019 also includes blockchain gaming, hypercasual and Instant Messenger games, esports, influencer marketing, cloud gaming, AI and more. And for the first time on American soil, joined by sister event, PC Connects to explore bringing PC games to market, design and development, user acquisition and why 2019 is the year the PC games industry changes – forever. Learn more about Pocket Gamer Connects Seattle at pgconnects.com/seattle. Dutch Games Association members get 20% discount on tickets. Contact us to get your code!